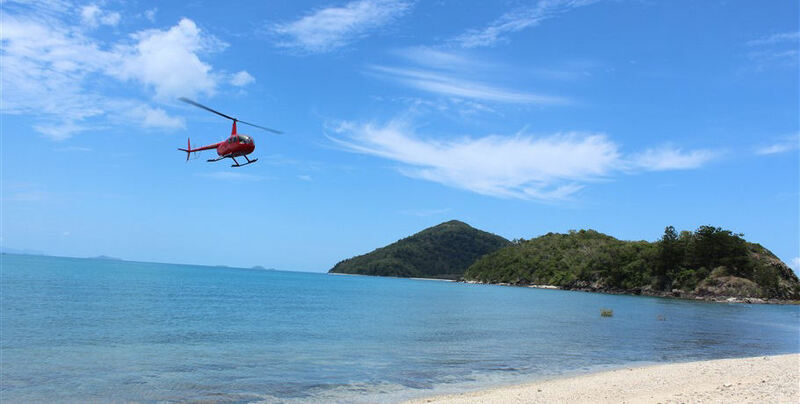 Enjoy an exciting helicopter journey to one of the Whitsunday Islands beaches with the Whitsunday Helicopter Experience! 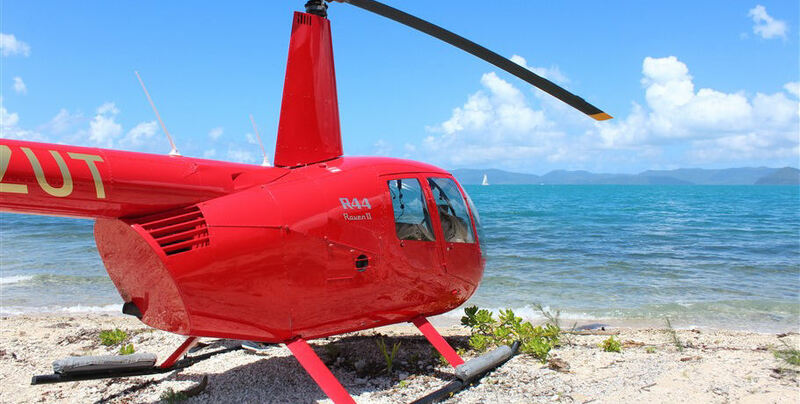 Depart from Whitsunday Airport and spend at least 15 minutes in the air as you soar over the islands, fringing coral reefs and spectacular azure waters of the Great Barrier Reef Marine Park. 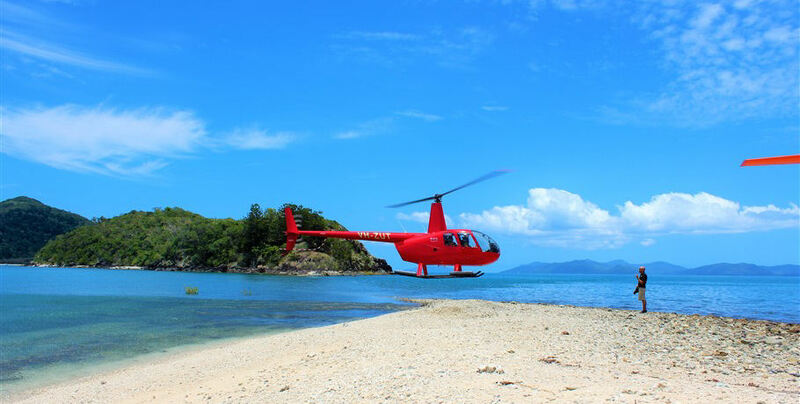 During the flight you will be able to enjoy a unique experience by landing by a secluded beach. The GSL courtesy bus can collect you from your Airlie Beach accommodation and take you to the Whitsunday Airport. Alternatively, please make your own way to arrive 30 minutes prior to your scheduled departure. You will be greeted by the friendly crew to receive a safety briefing prior to exiting the terminal. Make your way to your safe and well-maintained helicopter on the runway and take off for the ride of a lifetime! Enjoy views over some of the stunning Whitsunday Islands- including Daydream Island, and the Molle Group. 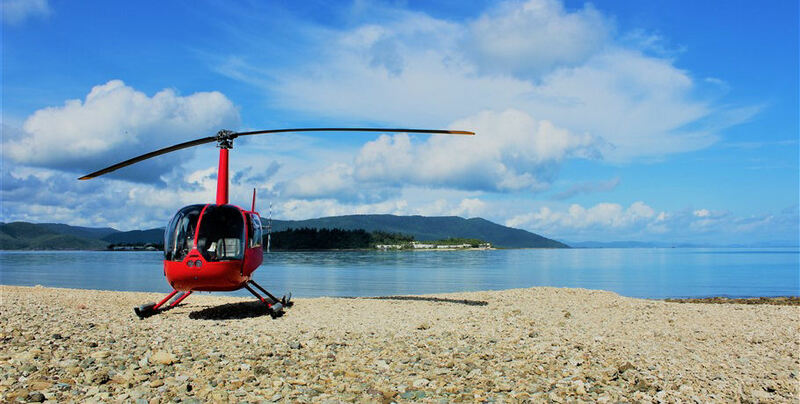 Land on Middle Molle Island for a unique photo opportunity and enjoy the fresh air and incredible views. 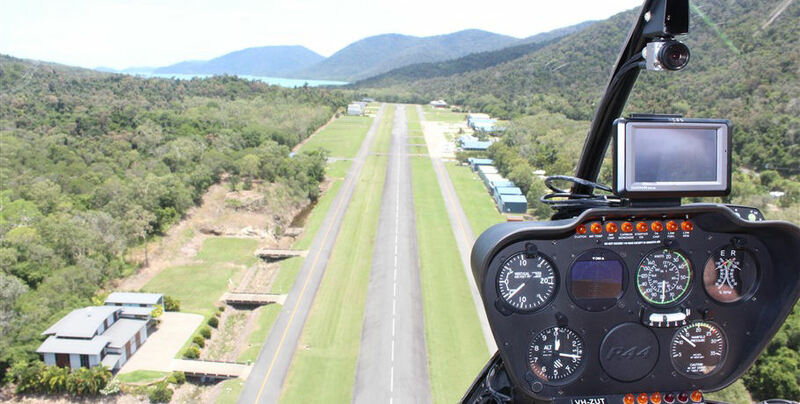 Take in the scenery as you return to Whitsunday Airport and take those all-important holiday pictures. Your courtesy bus awaits to take you back to your accommodation or the Airlie Beach main strip. GSL Aviation Pty Ltd is operated under AOC 1-QZ44TPrices listed on this site are per person. Prices advertised include GST. Minimum numbers apply for tours to proceed, we’ll let you know at the time of booking if this is a problem.Tours and pricing are subject to change without notice.Courtesy bus subject to availability; passengers that do not arrive at their pick up location on time may be classed as no-show.All flights are subject to pilot discretion, weather, air traffic control and aircraft availability.All flights are covered by carriers liability insurance. Flight time listed is approximate and may vary depending on aircraft type.100% cancellation fee applies for cancellations, no shows, or booking changes within 24 hours of departure.GSL Aviation will endeavour to achieve on-time performance, but accept no responsibility for missing tour/flight connections as a result of operational delays.GSL Aviation may use photographs of our clients in promotional material, including but not limited to social media, if you do not consent please advise GSL Aviation.